This home had a dated 6 zone whole house music system with failing source components and fidelity-sucking wall mount volume controls. 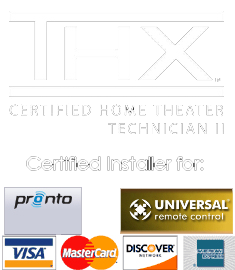 The clients contacted Theater Design Northwest for a consultation on a direction to go as far as upgrading the system and getting it functional again. First the good, they had decent Speakercraft ceiling speakers throughout the home that still worked. And the living room stereo system had a nice pair of Martin Logan tower speaks that should be capable of some nice accurate audio. 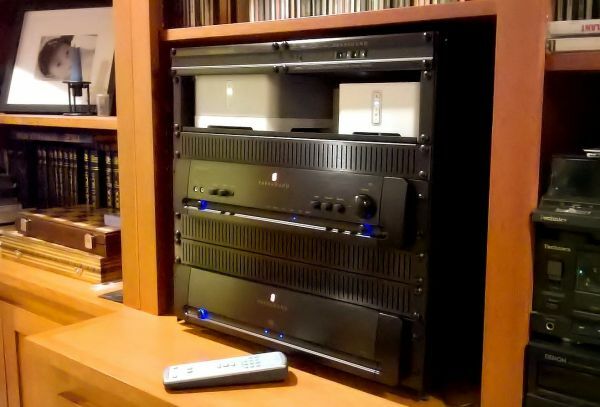 The bad was the Denon AV receiver as a head end was in protect mode and the Niles multichannel amp for whole house speakers was seriously lacking in clean power. Enter Sonos, Parasound and us to redesign an excellent system with excellent audio fidelity and current technology. The client loved his Martin Logan main system and the first priority was to get some decent quality power in the form of Parasound Halo separates, with Sonos as the main source, giving bit perfect CD quality playback into the Halo P5’s excellent onboard DAC. We then integrated the rest of the whole house music into this for three separately controllable zones of audio with Sonos, all powered with nice sounding, reliable Parasound power. Then we added Sonos playbars to the HDTVs in each office. That delivered an eight zone house sound system that rocks and is all controllable via smartphone app. Of course we ripped out all of the crummy wall volume controls, as Sonos assures the clients can control volume in a lossless way now. They wanted to keep their legacy CD changer, cassette deck and turntable and the Parasound/Sonos combo enables them to enjoy those sources anywhere in the home.